After spending more than a year being washed around the Pacific Ocean, a Canon EOS 1000D camera and the photographs contained on its SD card have been reunited with its owner. As you would expect the Canon EOS camera, pictured below, is no longer working. But the SanDisk Extreme III SD card inside of it was able to be washed, and more than 50 images were recovered. With a date stamp suggesting the camera had been in the salty depths for over a year. The camera was found during a scuba trip by Markus Thompson, who was diving in Deep Bay just outside Vancouver. 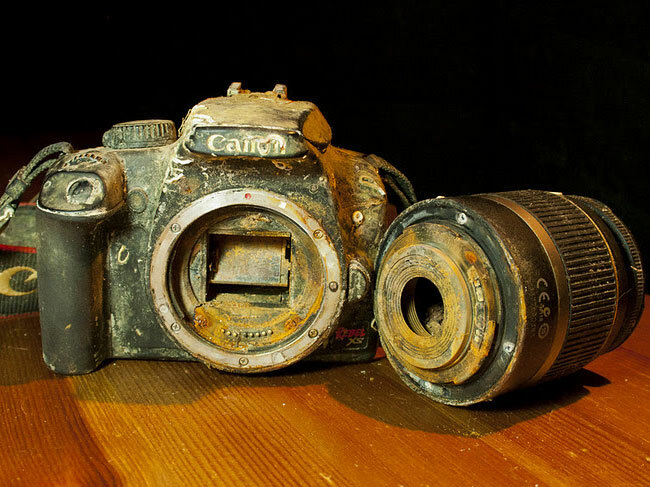 After publishing some of the images on Google+, Markus was able to track down the Canon EOS 1000D camera’s original owner. 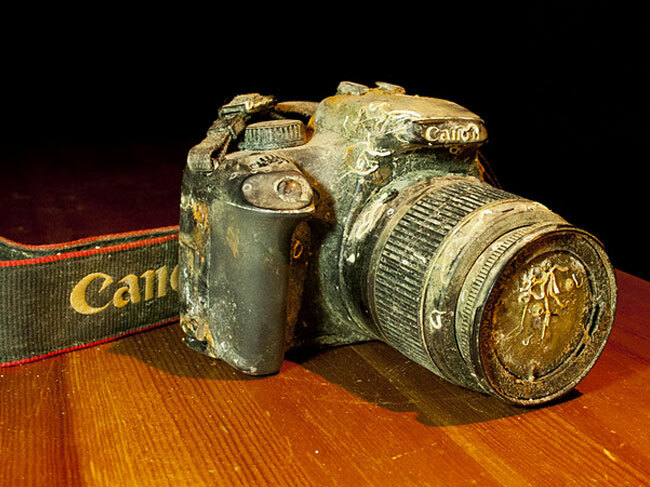 A firefighter and his family from British Columbia and reunite them with their photographs and Canon EOS 1000D paperweight.